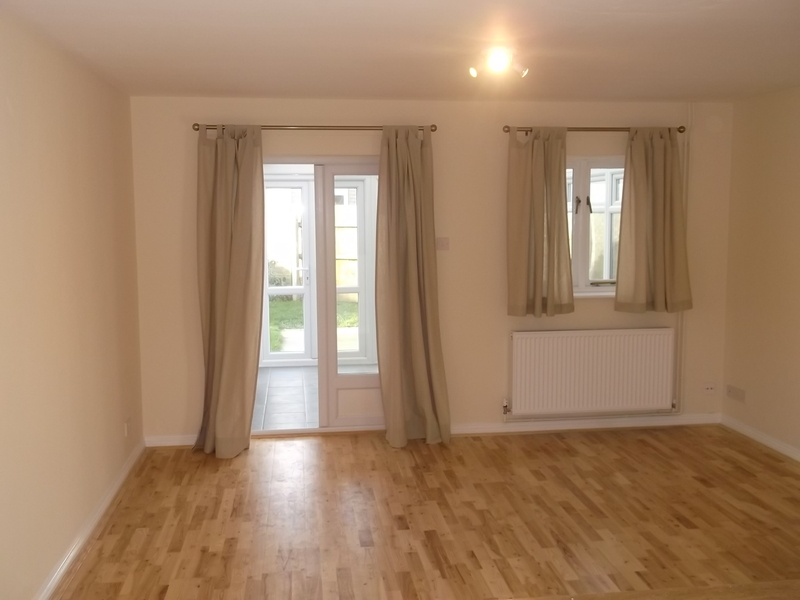 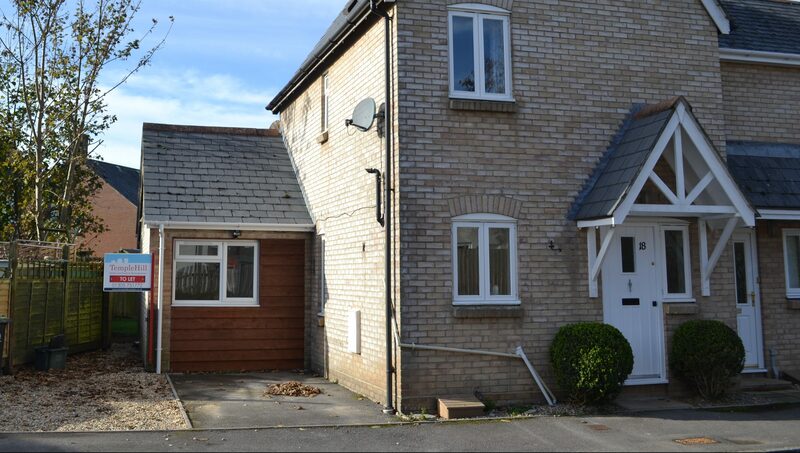 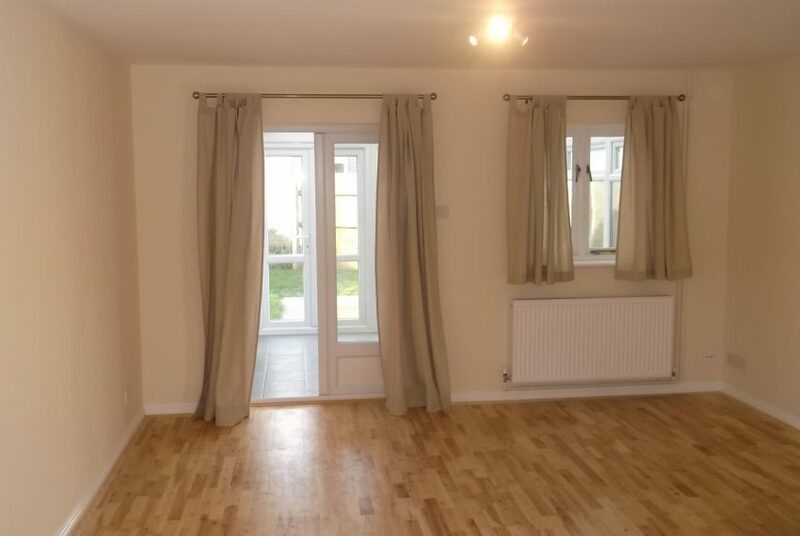 Newly refurbished end terraced property on the outskirts of Crossways; Woodbury Drove. This three bedroom house offers two bathrooms, kitchen, a spacious living room, light conservatory, back garden and driveway. 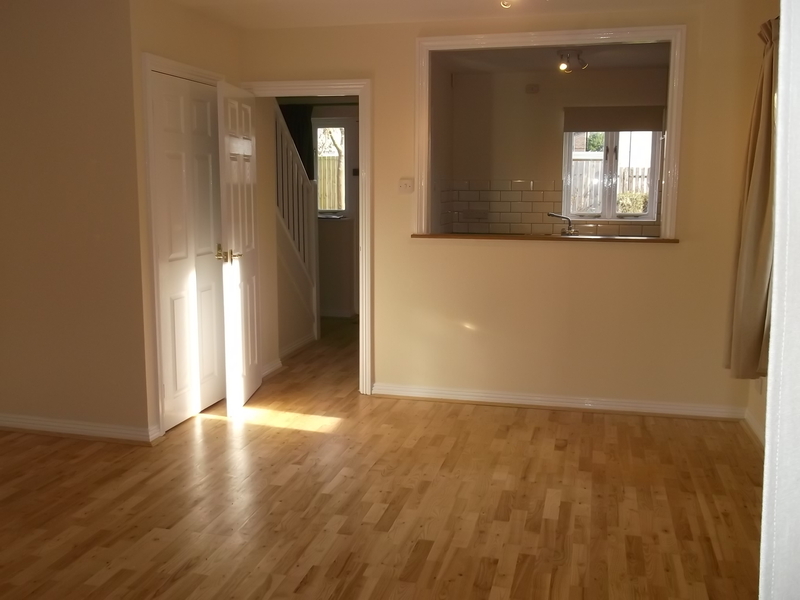 This property is ideal for a couple or small family in a lovely location. 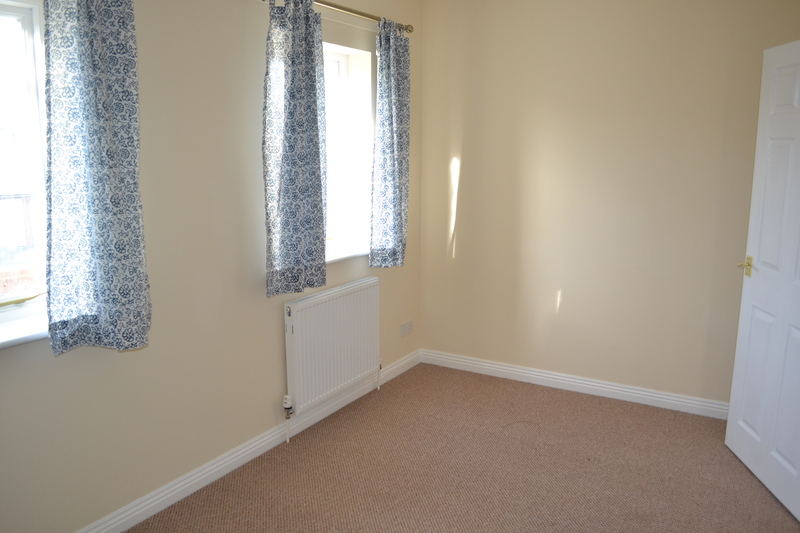 Unfurnished and available mid-November. 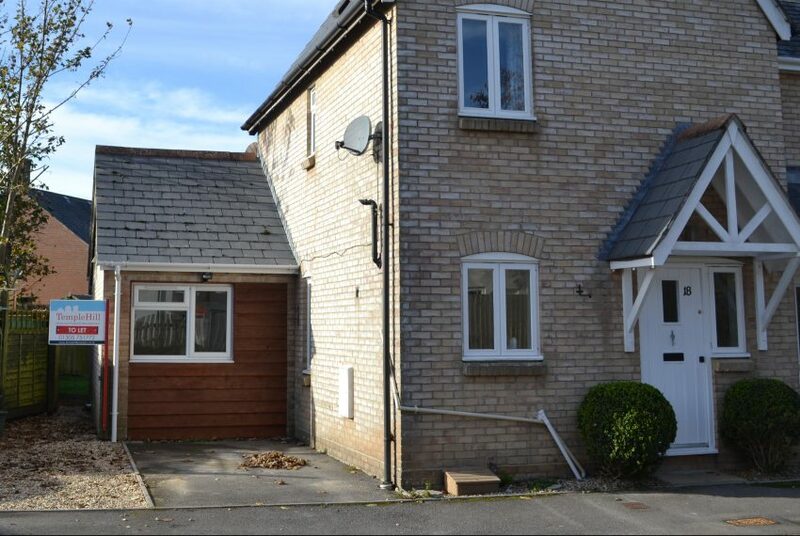 Woodbury Drove is situated on the outskirts of Crossways, close to local school, library, shop. 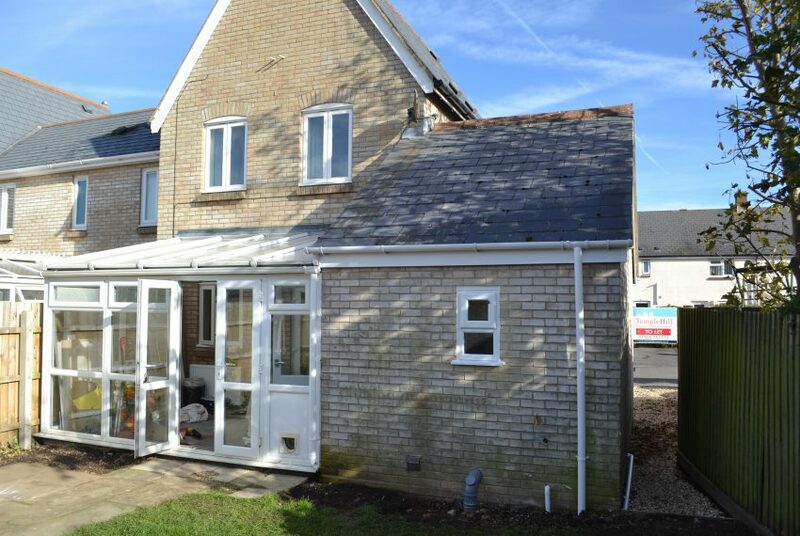 Short driving distance to Dorchester and Poole. 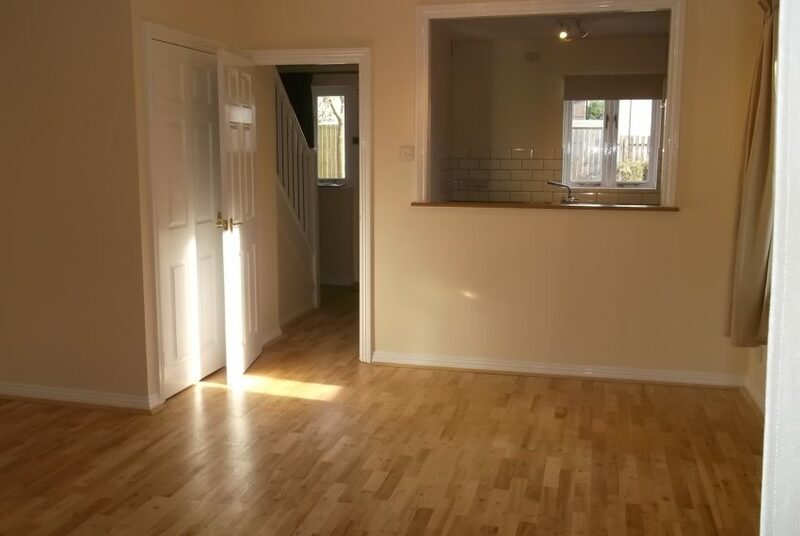 Train station located close by in Moreton. 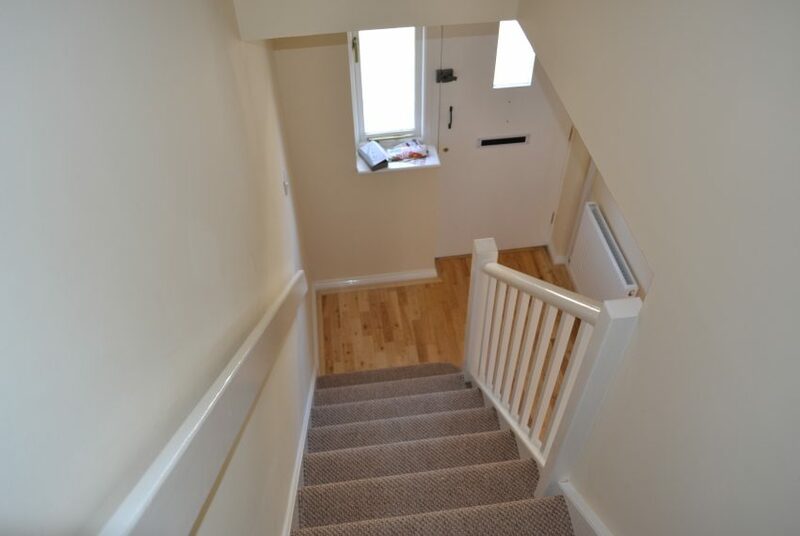 The entrance hall leads to the living room, kitchen on the left and stairs to the right. 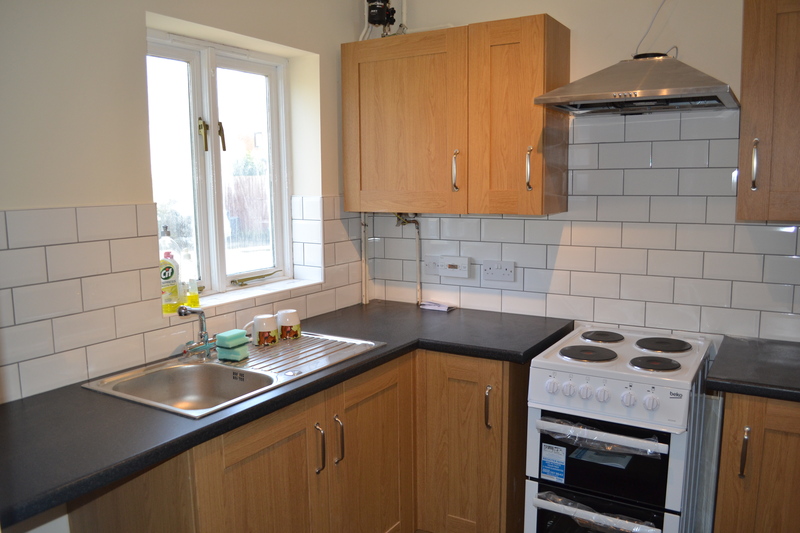 Attractive newly fitted kitchen with oven and hob, space for dishwasher and fridge. 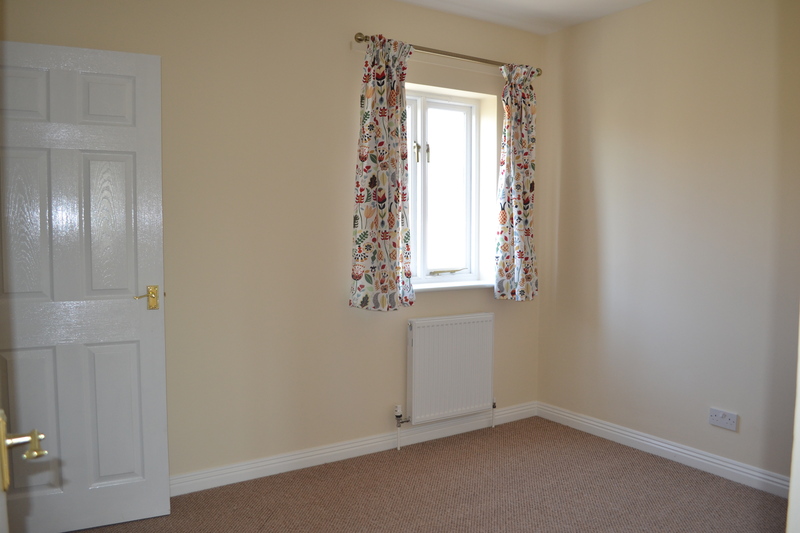 Light and spacious room with laminated flooring and neutral walls. 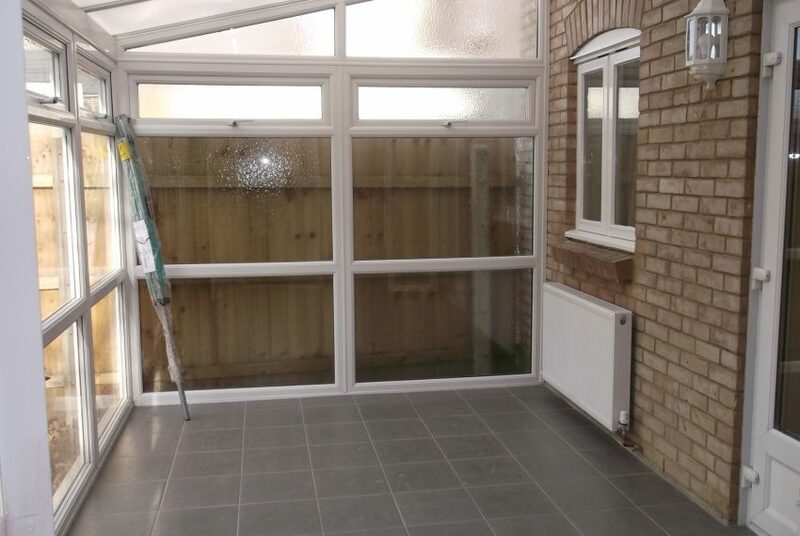 From the living French doors lead out to the conservatory, space for table and chairs. From the conservatory the downstairs single bedroom, neutral decoration and carpet. 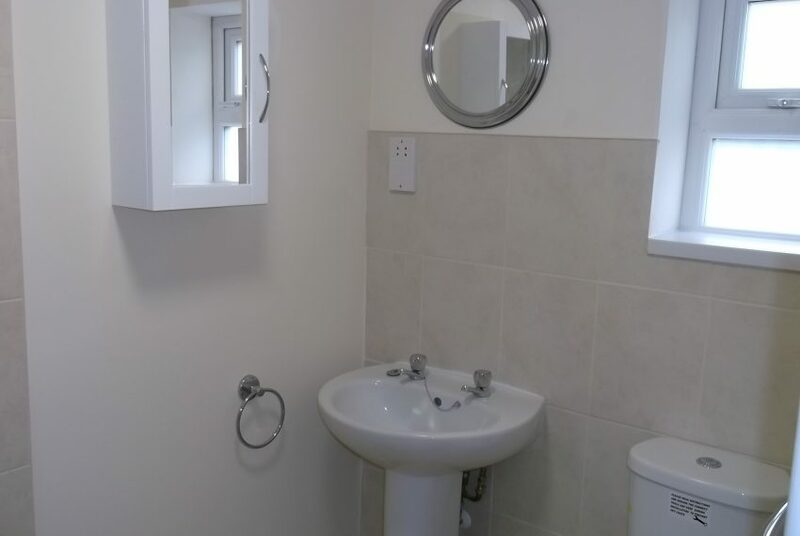 Next to the downstairs bedroom and conservatory separate shower, toilet and basin. 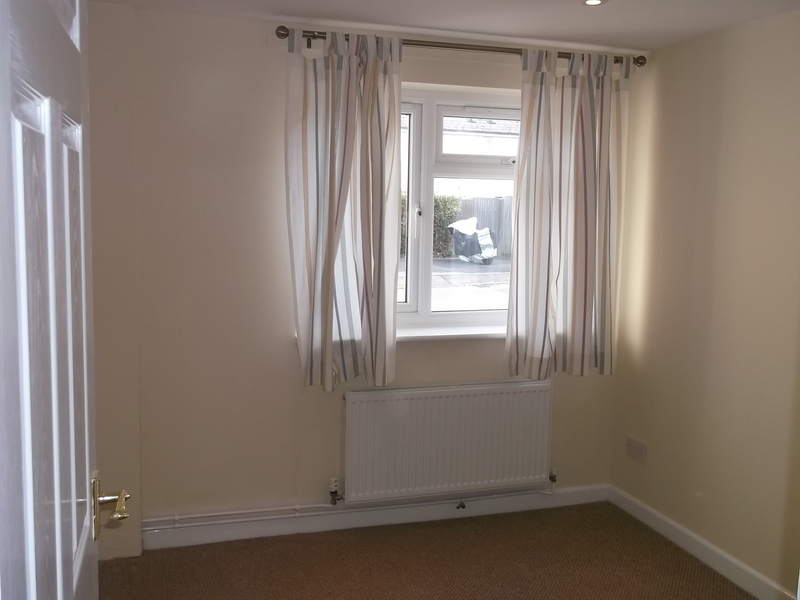 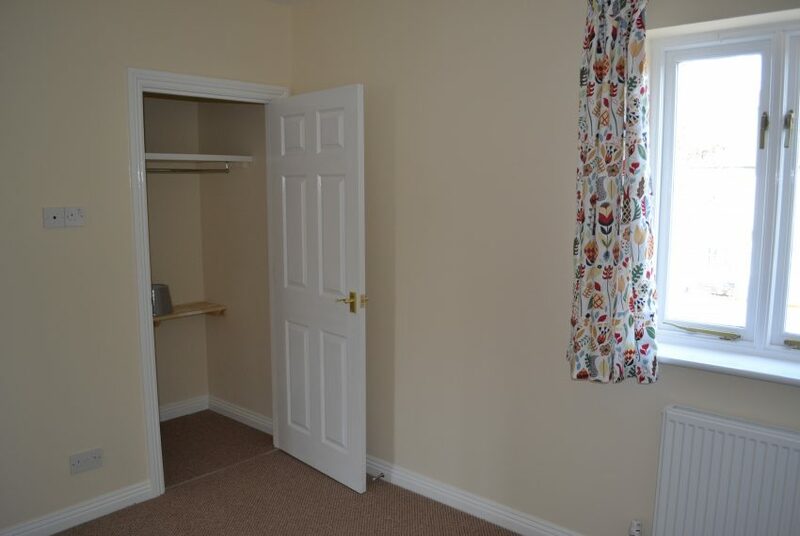 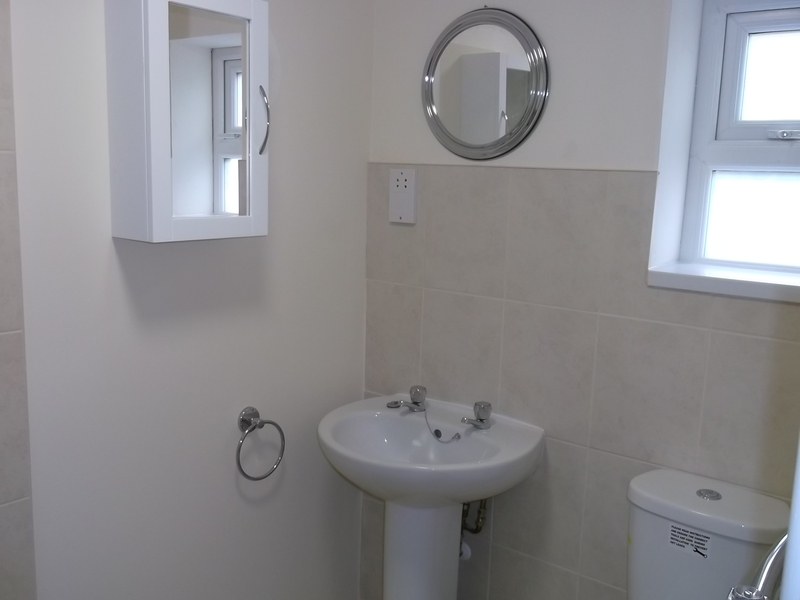 Double bedroom with built-in wardrobe, neutrally decorated. 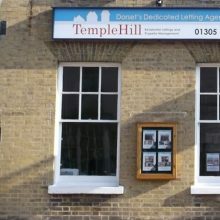 Looking over the front of the property. 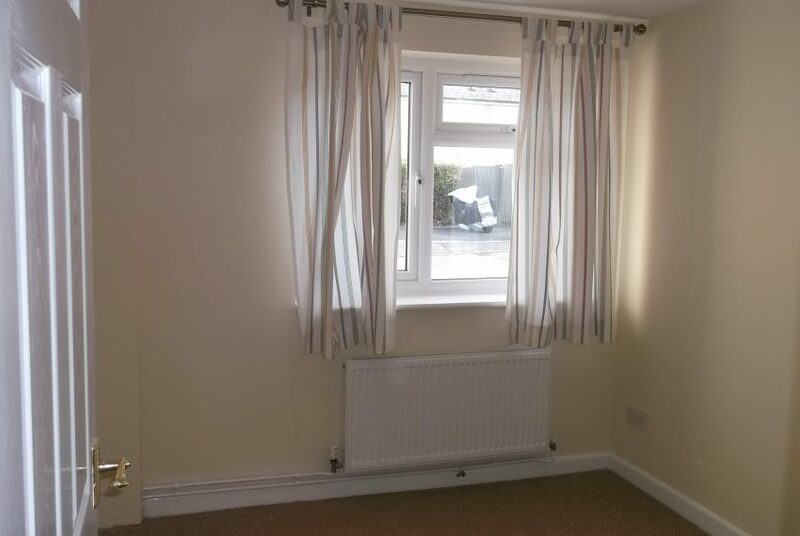 Double bedroom neutrally decorated, overlooks the back garden. 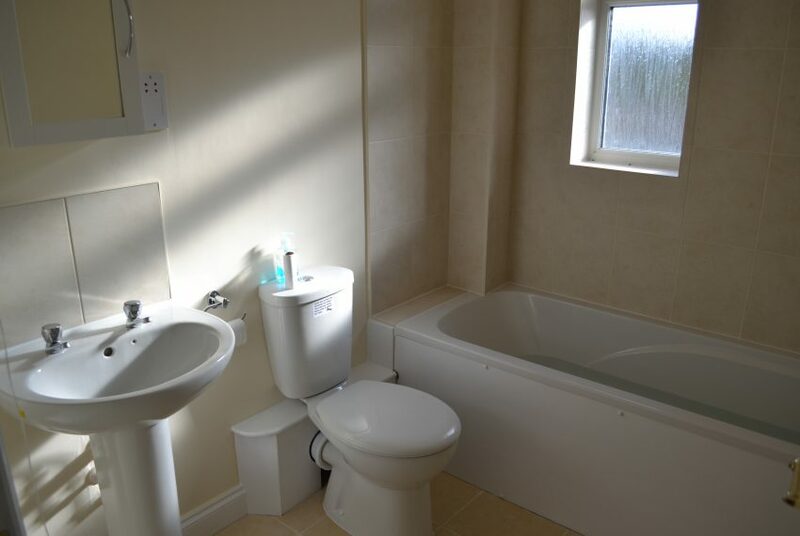 Light and neutrally tiled family bathroom, with white fitted suite. 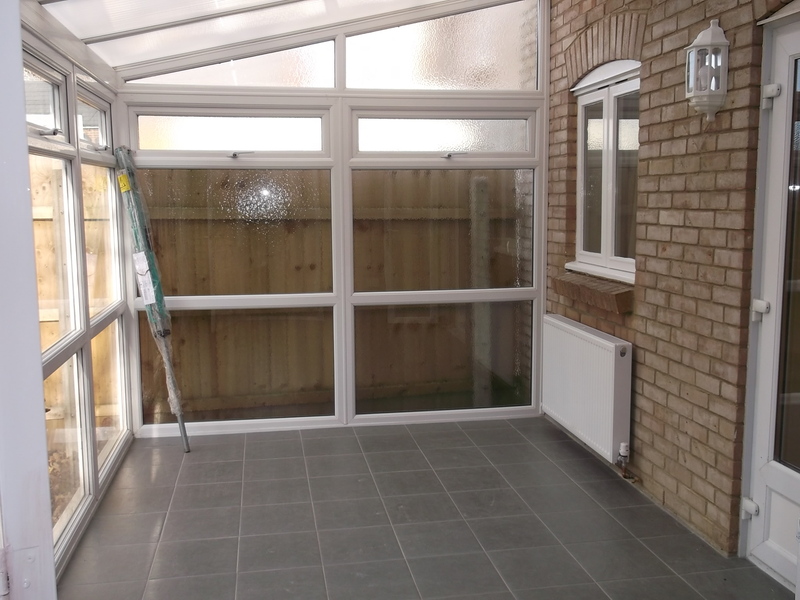 Manageable size grassed garden and patio area.